Scott started a new job last Sunday. And for the first time in my life, a new position at a new church didn’t require an immediate move. So, even though we no longer attend and serve at a church in our small town, we still live here. Which means, last night while we were eating out, we got to see several friends from our previous church. And yesterday while I was getting my hair cut and colored (hallelujah! ), a sweet little girl from Calvary came into the same salon and we got to get our picture made together. Tomorrow, Scott will be flying to Brunswick, GA, to do a revival next week. For those who might not remember, we lived there on the coast of Georgia for almost eleven years. So, next week Scott will get to see many of our friends there (and I’m trying not to be super jealous). I’m headed to Nashville today and tomorrow to see some precious friends. SIDE NOTE: Before we go any further, let’s stop there and realize while we often hear these words spoken in wedding ceremonies as a charge to the bride and groom, Ruth wasn’t speaking to her husband — she made this vow to her husband’s mother. Just let that sink in. 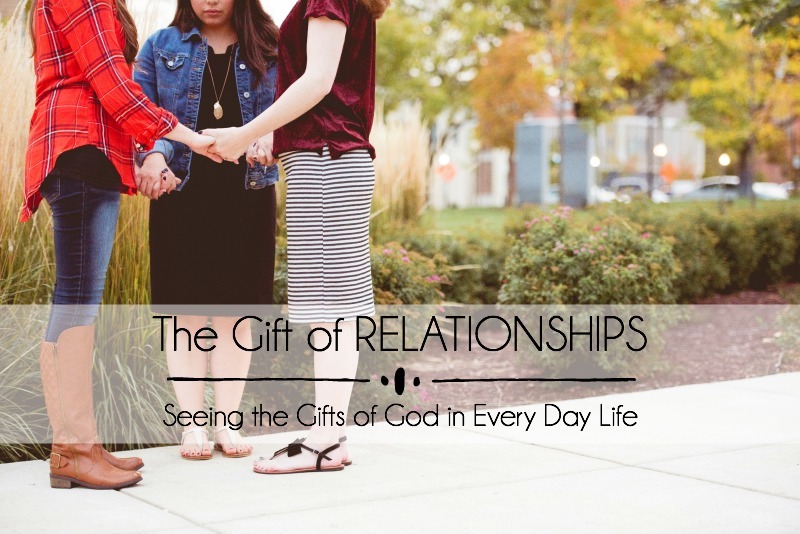 So what can we learn about the gift of relationships from Naomi and Ruth? While there are countless things to gain through a study of these two women, today I’d like to focus in on just two truths. 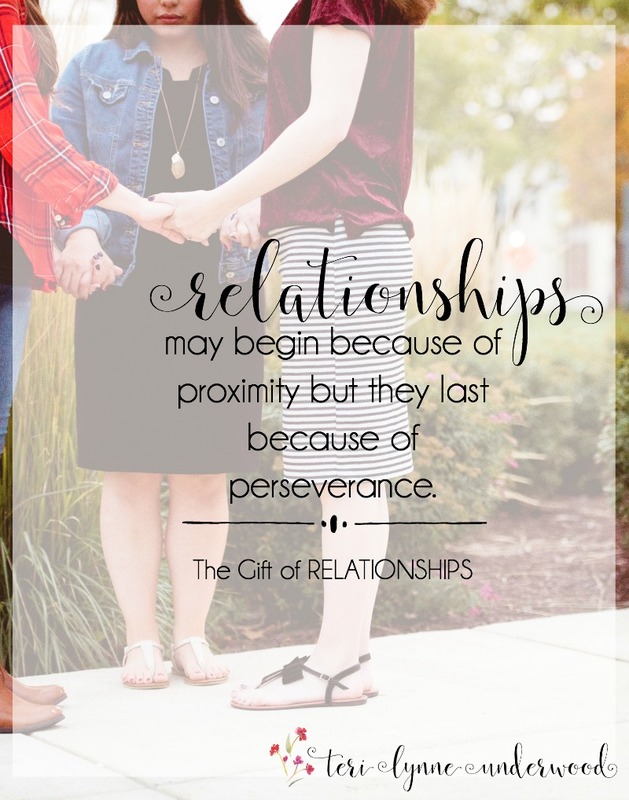 First, relationships may begin because of proximity but they last because of perseverance. You might assume Naomi was super thankful for Ruth’s promise but you’d be wrong. Look at verse 18: When Naomi saw thatRuth was determined to go with her, she stopped talking to her. Seriously? I can’t even imagine how Ruth must have felt but when we read through the rest of the story, we know Ruth always treated her mother-in-law with honor and respect. 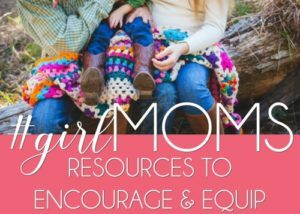 In fact, her treatment of Naomi was noticed by others and lauded at the end of the book where the ladies of Bethlehem declare, “Your daughter-in-law, who loves you and is better to you than seven sons …” (Ruth 4:15). 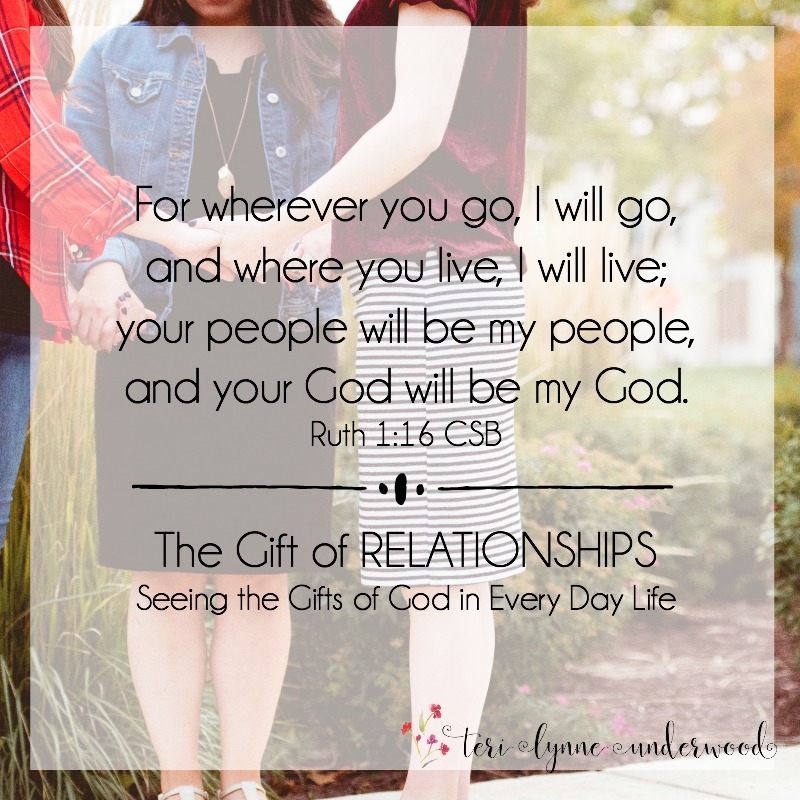 When we dig in to our relationships, even when they are hard, the reward is a deeper understanding both of each other and of the God who will never leave or forsake us. Second, relationships rooted in the love of God produce good fruit. Over the course of Ruth and Naomi’s story, we get to watch as Ruth’s love and devotion gradually change Naomi from the bitter to beloved. I think one of my favorite parts of this story is that transformation — so beautiful to observe. As Ruth continues to love Naomi well, her hardened heart is softened until ultimately she is won over. Y’all, this is so important for us! There are going to be people who hurt us and act awful to us but we’re still called to love them well. In fact, John says if we don’t love others we can’t possibly love God (1 John 4:20). When we choose to view our relationships through the framework of God’s blessing, the hard seasons motivate us to love better and deeper. What is the hardest relationship in your life right now? What makes it hard? Today, I invite you to consider how you can serve that person. 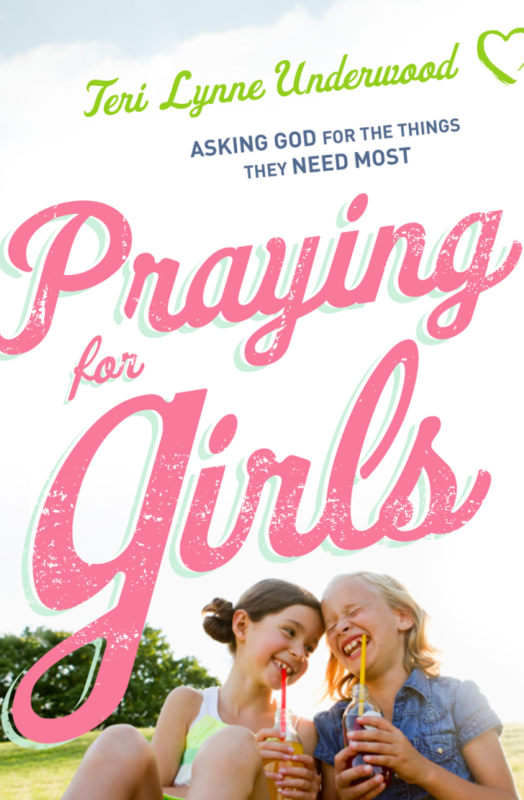 It doesn’t have to be a big production, in fact, it may be as simple as committing to pray for him or her daily. But if I’ve learned anything about relationships,it’s this — they are worth it! Lord, when our relationships are challenging, will you grant us desire to push in in stead of pulling away? Give us wisdom to love others well. Help us nurture the friendships you have given us. May we be women who stay even when it would be easier to go. And as we live in fellowship with others, we pray you will receive all the glory. In Jesus’ name, Amen. I have two books I’d love to suggest to you today. First up is The Road Back to You by Ian Morgan Cron and Suzanne Stabile. Viewing the enneagram though a Christian framework, this book will help you understand yourself and others. I can’t even count how many people I’ve told to read this book — it is fantastic! (And, if you’re wondering, I am a 3.) Another great resource is Lisa-Jo Baker’s book, Never Unfriended. Let’s be the kind of friends who don’t unfriend. I mentioned I am headed to Nashville this weekend. 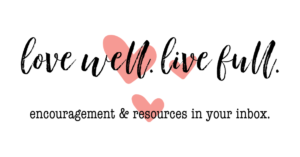 I’ll be attending the FRIENDED eventwhere Lisa-Jo, Annie Downs, and Chrystal Hurst will be encouraging us all in digging deep into friendships. And while I’m there, I will get to see so many of the friends I’ve made online. I’m so excited! You can follow my adventure on Instagram and if you’re going to be there — find me! !